On February 23rd, I was one of about 300 participants at the first Women Transforming Technology conference. 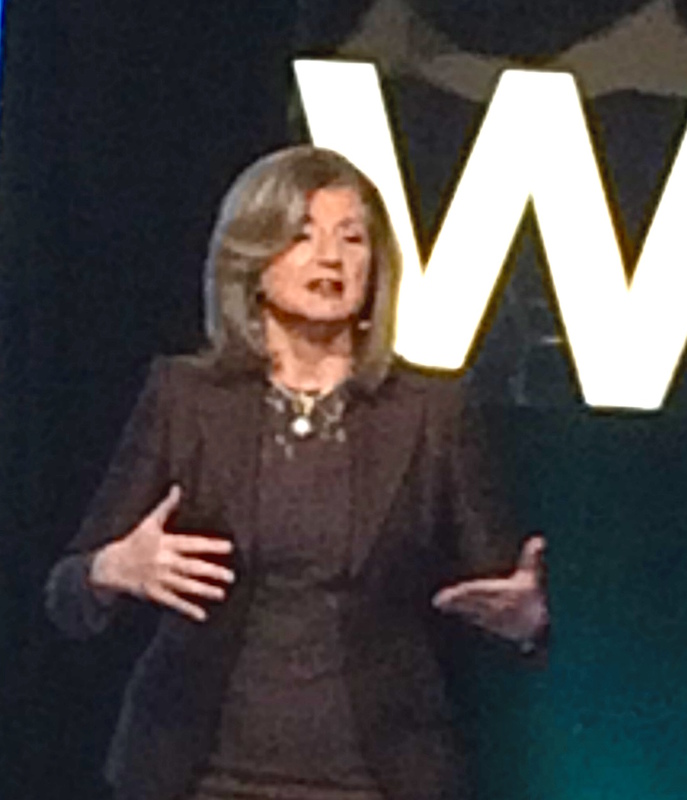 The keynote speakers were Arianna Huffington and Mary Lou Jepsen. My initial attraction to the event was the opportunity to see Arianna Huffington in person. As the opening speaker she was animated, entertaining, and touchingly personal in her comments. The focus of her talk was the importance of self-care in general and the need for sleep in particular. [She mentioned her next soon-to-be-released book is “The Sleep Revolution”]. 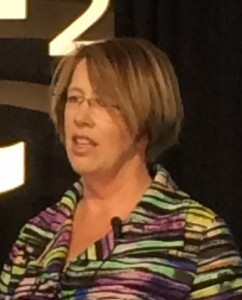 Mary Lou Jepsen was the closing presenter. Cofounder and former CTO of One Laptop Per Child (OLPC), she recently left Google X to become Executive Director of Engineering at Facebook. Previously she had been a professor at MIT and she holds 80 patents. When she started work on One Laptop Per Child (OLPC), she was given lots of reasons why trying to create a computer that could be produced for under $100 was definitely impossible, maybe even a little crazy. She described some of the constraints: long battery life, powered by the sun, able to withstand high heat (because of the places where it would be used), have a display bright enough to be seen outdoors, etc, etc. It seemed so absurd that at one point, she was invited to speak to the executives and board of directors of a major Chinese firm about the project. Once there, it became clear that she had been invited to serve as some form of comic relief for the executives. She had the presence of mind to ask them to list all the reasons why OLPC could never work. They generated a list of 25 objections. Going through the items, she told them she had already solved 18 of them. Could she come back once her team had found solutions to the remaining 7? [Note- she WAS her team- but they didn’t need to know that]. The executives agreed to that. Those 7 concerns were things she had not thought about, so she was grateful for the input. She was so grateful that she continued to meet with executives and Board members from a variety of major companies, knowing they were more interested in finding fault with OLPC than funding it. Those meetings helped her design the final product. It was her own way of crowdsourcing ideas. And it worked. Millions of units have been shipped to children in developing countries. What a wonderful example of turning lemons into lemonade. Instead of seeing the criticism as defeat, she leveraged it to improve her idea. She demonstrated all the characteristics of a great innovator- passion for what she was working on, persistence, resilience, willingness to seek out feedback and act on it. Currently, in addition to her day time job, she is exploring ways to create a low-cost, wearable, highly functional MRI mechanism that would allow people to understand what is happening in their brains. Sounds impossible? Personally, I wouldn’t bet against her. How often have you let other people convince you that what you wanted to do was ‘impossible’? Going forward- what will it take for you to persist in pursuing that idea? How will you respond to setbacks? What will take for you to see them as opportunities to learn- not to give up?